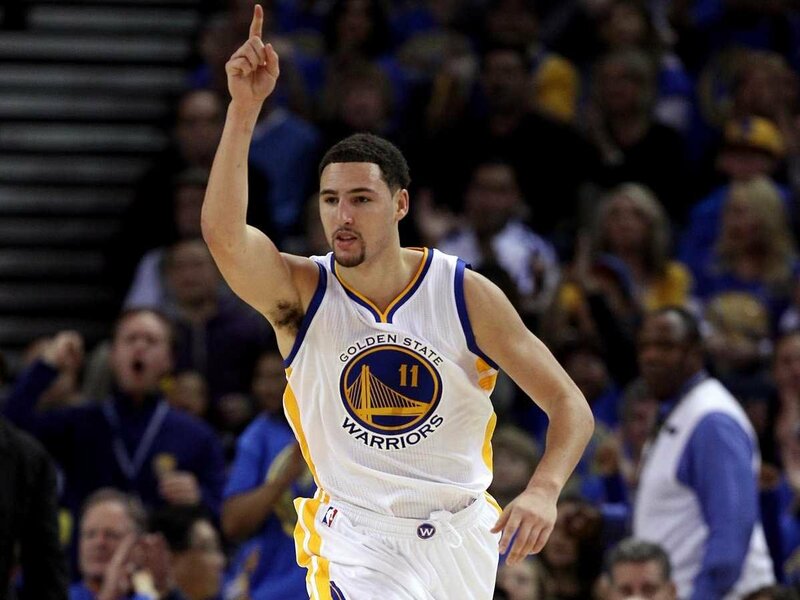 Klay Thompson is a professional American basketball player for the Golden State Warriors. Thompson is recently coming off his second NBA championship with the Warriors. The 27 year old is a three time NBA All-Star and the 2016 NBA Three-Point Contest champion. Back in 2014, Thompson signed a massive deal with the Warriors worth nearly $70 million for four years. Because of this deal, Klay Thompson’s net worth currently sits at $14 Million. Thompson was born in Los Angeles and attended Santa Margarita Catholic school for his high school years. He went on to play his college ball at Washington State University. Klay was a three-year starter for the Cougars and averaged over 21 points per game in his junior season before declaring for the NBA draft. He currently sits as the schools 3rd all-time leading scorer. Klay Thompson’s net worth has increased dramatically over the past two years. He was drafted #11 overall in the 2011 NBA draft by the Golden State Warriors and has spent his whole NBA career with the team. His first contract he signed with the team was worth over $4 million for two seasons. Being a first round pick, Golden State had the option to keep Thompson on their team for the following two years and they did just that. Before the start of the 2014-2015 NBA season, Thompson and the Warriors agreed to a rookie extension that would be worth almost $70 million in guaranteed money. This massive contract has helped contribute to a great deal of his net worth. Living in California does hurt Thompson in terms of his net worth accrual. He is subject to not only the federal but also the state of California’s highest tax brackets at 39.6% and 13.3% respectively. Even despite these high taxes he has to pay, Thompson has done a good job sealing up a number of endorsements to further grow his wealth. Klay’s shoe deal with Anta, a Chinese shoe brand, paid him around $3 million annually; however, he recently signed an extension with the shoe company and is expected to earn closer to $9 million annually through the deal. His shoe deal coupled with his chocolate milk endorsement among others, has allowed him to expand his brand beyond the basketball court. On a personal note, Thompson has a younger and older brother, both who play professional sports. Klay’s father, Mychal Thompson, played in the NBA with a number of teams in the 1970’s and 80’s. Klay and his father are the fourth father-son duo to have earned NBA titles as players. We can expect Klay’s net worth to continue to increase throughout his NBA career. With two years remaining on his current contract, he will make an average of over $18 million for the next two years. After he plays out his current contract, he should expect another hefty payday if he continues to play at the all-star caliber that he has been known to.